I say ‘our’ because while this sight is maintained by humans, the actual writers are the Nature Spirits, or as they are also called, The Elementals. Let me explain. My name is Cheri Barstow, or if you would prefer you can call me what the Elementals sometimes do: “She who types”. I am here because I have been given the privilege of hearing what the Nature Spirits have to say and passing this along to you. 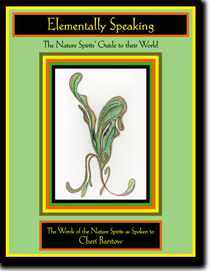 I explain how this all started in my book, Elementally Speaking, the Nature Spirits’ Guide to their World. Each month I will listen to whichever Nature Spirit wants to speak to you, write down their message, and pass it on to the visitors to this site. 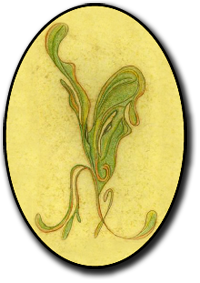 If any of you would love to discover or learn more about the world of the Elementals and the jobs they do, then please join us each month for a message with a different point of view; a personal view from our Nature Spirit of the month. I hope that as you read this month’s passage, you can open your mind and listen to their words as they tell you about their world and ours… ‘Elementally Speaking’, of course. Your questions to and about the Elemental Kingdom—answered.